Attach two legs to each side of the body. Stick a Poplock in the top. This bot is done! get them all to the Assembly Plant to get new bodies? Combine these heads and bits with parts from the Poplocks Super Combiners Series 1 collection. You can purchase and download these templates by clicking the button below. 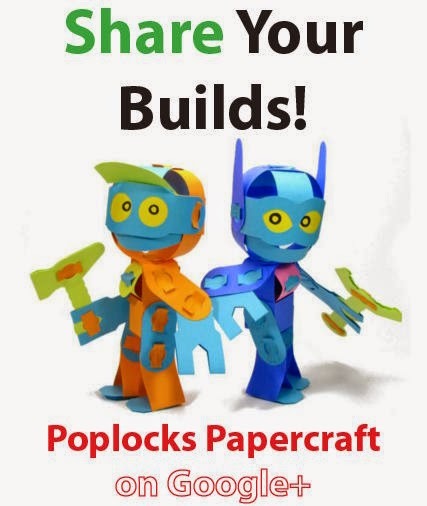 You get four robot templates plus a page of bonus parts - print it over and over for building bigger bots!